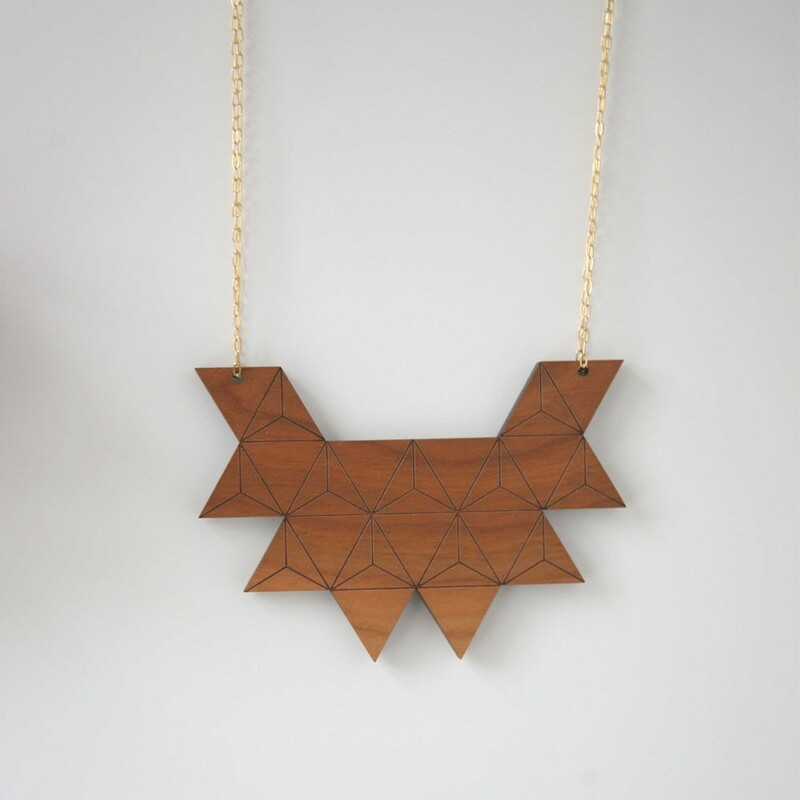 I am partial to a bit of Art Deco and this Art Deco inspired necklace by Rebecca Boatfield is no exception. 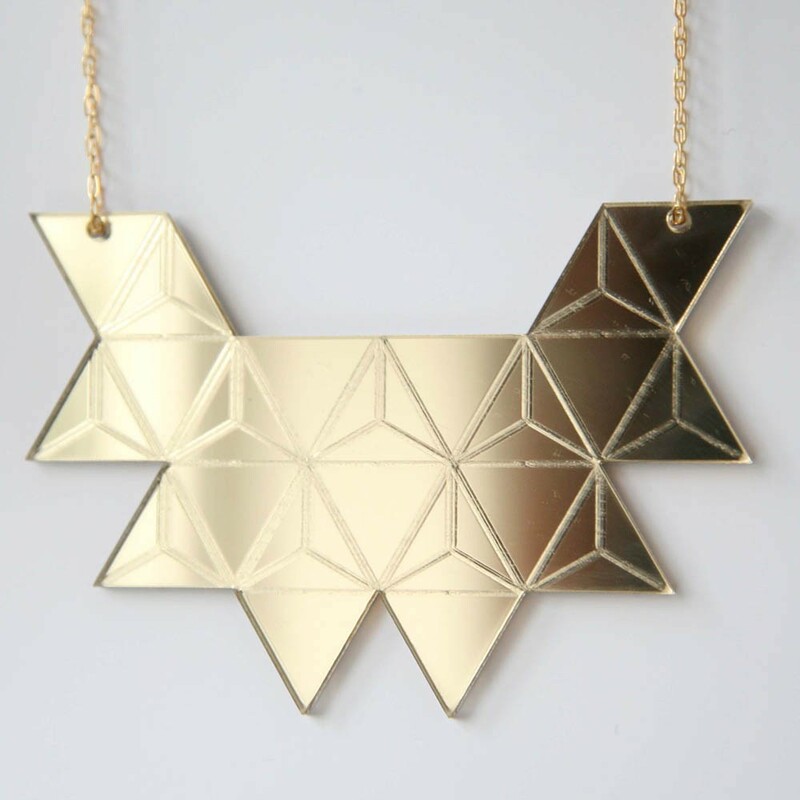 The unusual shape of it, the gold mirrored perspex and the etched triangles all make it really special but it’s still affordable at £60. There is also a beautiful cherry wood version at £65. 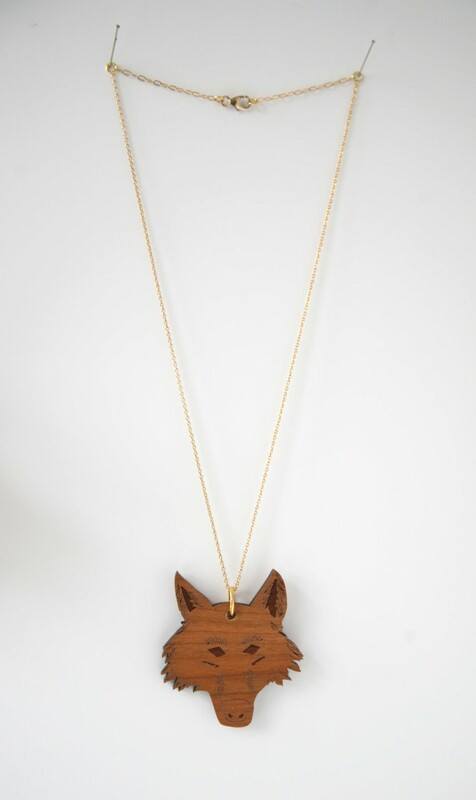 Rebecca also does this Mr Wolf necklace at £48 and a mirrored brooch version of the same design.